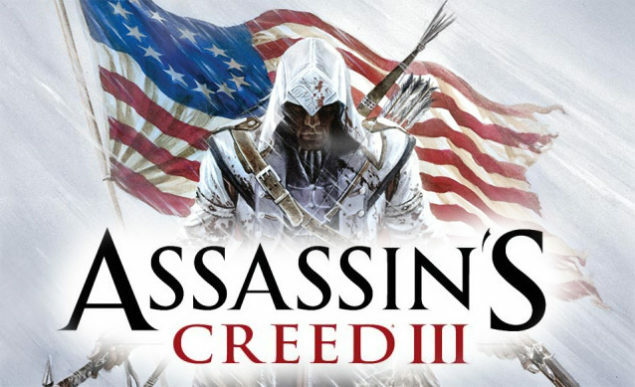 Assassins Creed 3 has been dropping hint bombs throughout the whole week, and with a release date of October 31st 2012 already confirmed and the game being in development for more than a couple of years now this game will definitely set a record and stand out from its predecessors. We saw world of Assassins through the eyes of Altaïr Ibn-La’Ahad and Ezio Auditore Da Firenze; the ancestors of Desmond Miles in two of the previous Assassins Creed games but now its time to meet a third. Set more than 300 years after Ezio Auditore this guy is definitely the new star of the series. Assassins Creed games come and go every year and each year the new title always outshines the previous title; but Ubisoft stretched the story line of Ezio Auditore for three games consecutively and finally concluded it in Revelations but now after more than 300 years of waiting we can now explore the story line of a new Assassin who is said to be Half British and Half Native American. The reveal trailer shows him slaying British Soldiers mercilessly and then him watching over American soldiers rushing towards fighting the British. While the full story behind our masked Assassin is still a mystery it will all be answered in all the upcoming gaming conventions in the coming months. I for one am liking the new Assassin and to see a new face instead of repeats, but will Ubisoft make this new Assassin a new Ezio and expand on his story line for several games too or will they make this his first and last stand? Only time and the release of the game will tell. You can read unconfirmed details of the game by going Here.